What is an (Anti) Gala? An (Anti) Gala is NAH’s take on a party in Newport in the summertime. It’s not like any other soiree you’ve been to on Bellevue Avenue. At our (Anti) Gala, you can wear a tie, or leave it at home. You can embrace your inner animal with more than a cat eye. You can get weird and wild (but you have to stay out of the fountains and respect the grounds: this is a celebration after all). Throughout the evening, you’ll move through musical interludes and art installations of all kinds; you might even be transported to another realm. You’ll dance with friends and make eyes with curious souls. When the revelry fades, you’ll be left with an unforgettable evening. Proceeds from this event go towards supporting the operational costs of Newport Art House, a 501 (c)(3) organization with a mission to nurture, showcase, and promote the contemporary arts of Newport County. For the last three years this organization has created great events and arts programing locally without a space and on a shoe-string budget. You’re ticket donation will fund our 2020 fiscal year and we have huge plans, including public-private partnerships to create artist housing in Newport. Find out more about Newport Art House and what we’ve been up to by clicking here! Simply put, it’s a night of revelry, art and music. The name refers to Bacchus, the Roman god of agriculture and wine, and also fertility, drama and revelry. On the evening of August 23rd, we intend to honor this spirit on the lush and whimsical grounds of the Bellevue House. 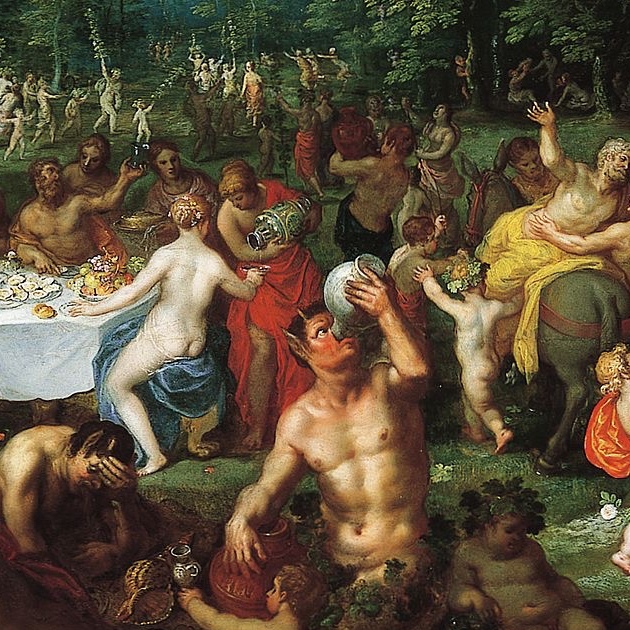 As Bacchus would have it, this event is limited to those over the age of 21 years. In the event that the weather takes a turn on the night of the (Anti) Gala, we will host the event on the following day: August 24th, 2019. Although the venue is outside, we want to ensure the event is accessible for everyone! Please contact us at info@newportarthouse.org so that we can work with you on any logistical inquiries! For general information please email us at info@newportarthouse.org. To attend as an artist please visit our artist tickets page. To apply as a performer please email us at info@newportarthouse.org. To inquire about sponsorship please email us at info@newportarthouse.org. Come back soon for more updates as we near the night of revelry!